Do you like to challenge your reflexes ? 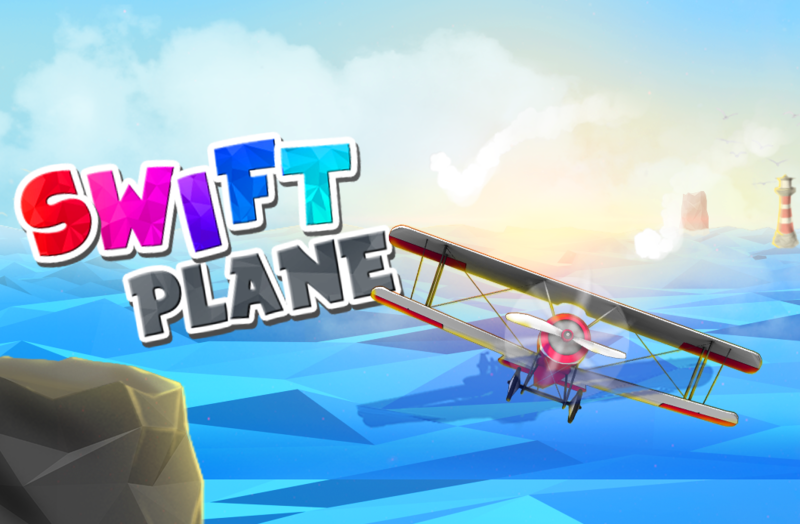 If Yes ,Try Swift Plane – Easy but fun to play game.Swift Plane is an endless flight runner game.Control the plane in air by performing well timed JUMP, DROP and TILT with easy swipe controls.Keep collecting gems on the way to continue flying even after crashing into obstacles. Choose among plenty of planes and experience flying through various beautiful locations. Challenges are endless with extremely engaging dynamic leader boards designed for each endless location. Now ,You get to see your next opponent while you just concentrate on dodging various obstacles in air. Grab FREE gems every day by just stepping into the game ! Complete special tasks to unlock achievements and claim your reward. – Responsive and easy swipe controls. – Choose among various planes . – Multiple colourful locations designed in LOW POLY ART style. – Climb leader boards in very engaging way. – Brag your achievements on various social platforms. Game requires internet connectivity and subsequent data transfer if you wish to save game data on Cloud. even after reinstalling the game.